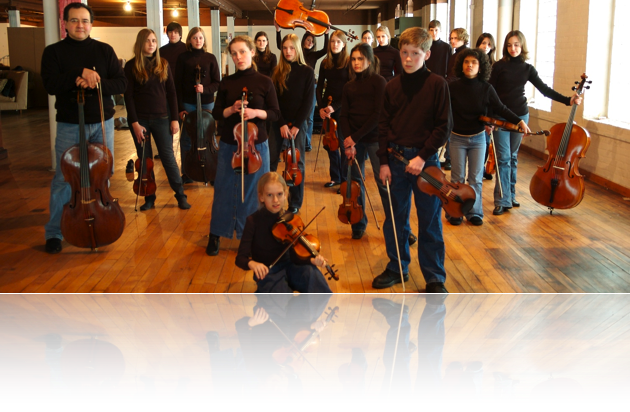 Founded in 2007, YellowCello Young Artists (YYA) is a music training program for young people, based on the premise of creating growing and flourishing Leadership Ensembles - youth ensembles with life skills as its principles. With a focus on the core principles of Trust, Unfiltered Dialog, Commitment, Accountability, and Attention to Results, YYA is a program that prepares students for a future in the highly competitive world of music, as well as other demanding disciplines. The result is a Leadership Ensemble that is highly functioning with strong communication skills, and the ability to commit itself with attention to team results as the entity. In its primary mode of operation the youth ensemble does not use a conductor, it is self-directing. It is believed that this style of music training program, for students of 22 years and younger, is a first of its kind in the nation. YYA is a place where serious young musicians who play strings come together to learn how to take charge of their destiny, and along the journey have tons of fun.